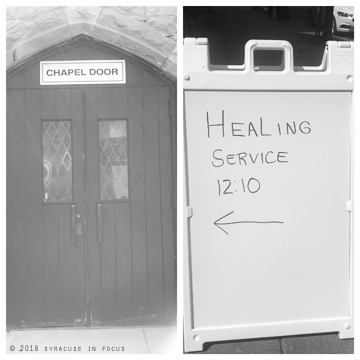 Syracuse in many ways is a city of churches. I recently caught up with on-air personality Lula Townsend, who has a radio show on 1540 WSIV-AM. Her show brings the church experience to the shut-ins, retirees and those unable to make it to Sunday services. At one time Townsend’s Classic and Traditional Gospel Hour was on three times a week, but now she’s cut back to once. 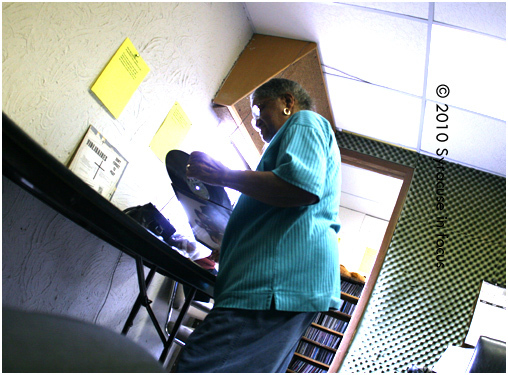 Each Monday she is in the studio shuffling vinyl records, reading Bible verses to her listeners, and answering phone calls. 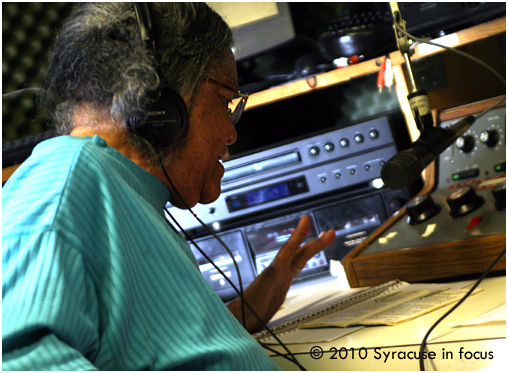 I’ve always enjoyed Mrs. Townsend’s show, because in addition to providing informal history lessons about Syracuse, her voice is a true echo of our city’s Southern roots. 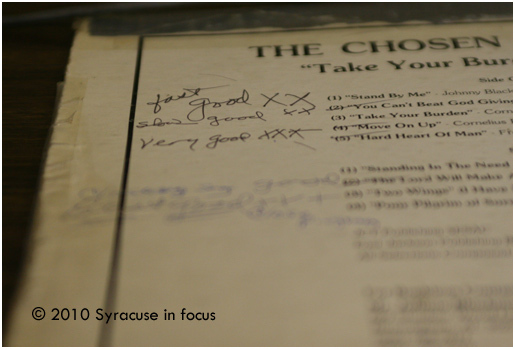 When did you come to Syracuse: I came from Miami, FL in 1953.
Who inspired you: I credit Rev. Walter C. Blue who was on WSOQ radio in the 1960s. What is your favorite song: Bless me now Blessed Savior. What is your motto: Pray without ceasing. 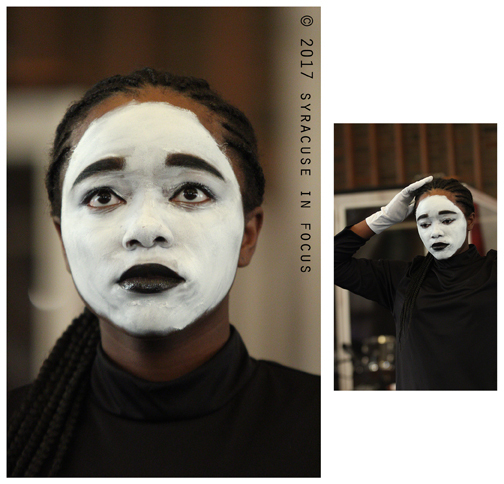 What does Syracuse mean to you: Syracuse has always been [for me] the center of hospitality and home of brotherly love. 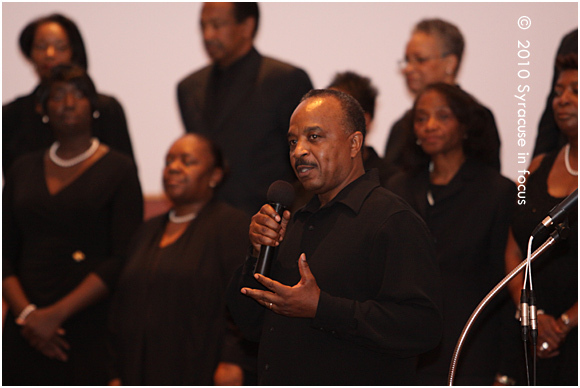 Musicians and Producers Robert Short, Jr. and Dr. Joan R. Hillsman (above), along with the Bethany Baptist Church Choir and guests recorded a live CD last night. 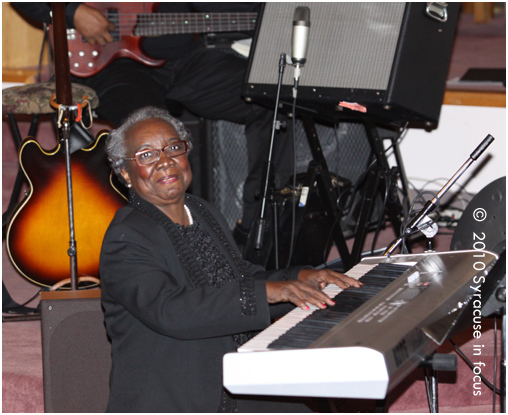 There were several selections of Christ-inspired original compositions featuring Short, Hillsman, Pastor Phil Turner, Tisha Barnett ,George Kilpatrick, III and many others. 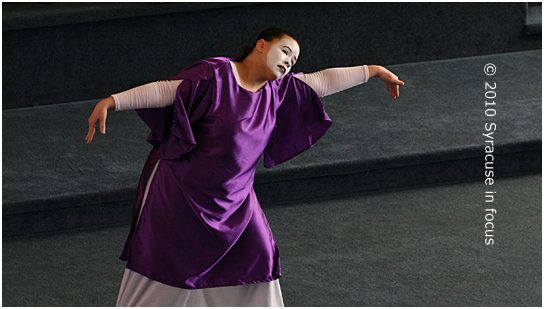 Tags:2010, Bethany Baptist Church, Church, Dr. Joan R. Hillsman, Finally a live recording, Min. 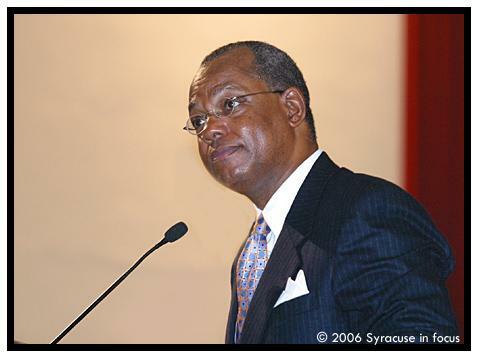 Franklin Huff, Music, Rev. Phil Turner, Robert D. Short Jr.